Service began simultaneously on lines 1, 2 and 5 of the Shenyang tramway network on 15 August 2013 in the run-up to the 12th “China National Games 2013” beginning on 31 August – less than four months after the RATP Dev / Transdev joint venture won the operations contract. Line 1 connects the Exhibition Center station to the Olympic Center station across 18.7 km. Line 2 stretches across 15 km between the Olympic Center and Taoxian Airport stations and line 5 connects the Olympic Center station to Shenfu City across 21.1 km. The 15.1-km long line 3 is scheduled to enter service soon. 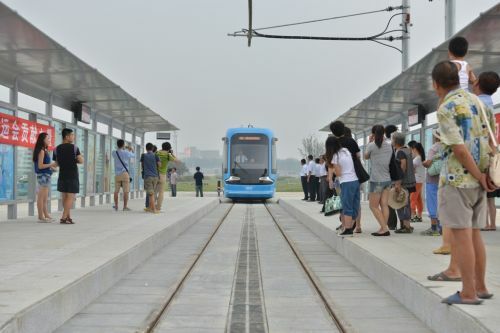 At almost 70 km in length and boasting 65 stations, the new tramway network should make travel considerably easier for the 7.2 million inhabitants of Shenyang and for the thousands of spectators expected at the 2013 China National Games to be held from the 31st August to the 12th September. 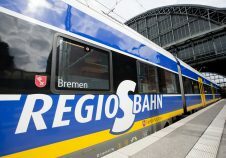 In time the four new lines should carry over 150,000 passengers per day. The tramway network is also scheduled to expand with a 6th line under construction and a 4th currently which still under review. According to the standard Chinese business model, on April 26th 2013 the Shenyang city authorities awarded the operations and maintenance contract for the new tramway network to an operations company of which is 51% owned by the city and 49% by the RATP Dev / Transdev joint venture. The three-year contract should generate overall revenue of 330 million yuan (over €41 million). 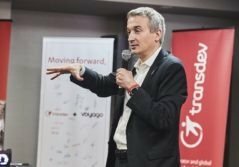 The joint venture between RATP Dev and Transdev is an equally owned company established in April 2009 to enhance their development potential in Asia and particularly in China, South Korea and India. 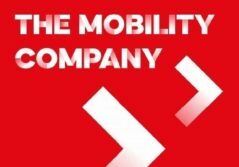 The joint company aims to become one of the leading urban transport operators in Asia. The joint venture already operates the iconic Hong Kong tramway system, the urban network in Nanjing with nearly 2,000 buses and Seoul metro line 9.